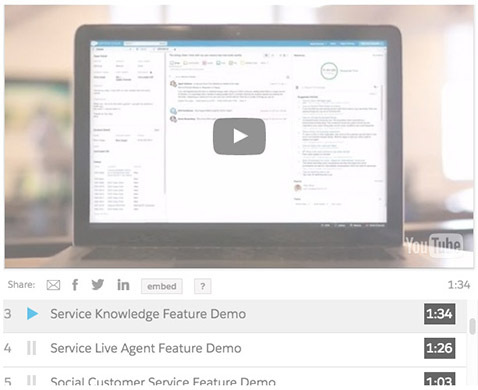 Watch the Service Cloud demo. GIVE YOUR AGENTS AND CUSTOMERS EASY ACCESS TO SOLUTIONS. FAST. Solve cases 48% faster, while improving system adoption, agent productivity, and customer satisfaction with a KCS verified knowledge base. Knowledge management is important to you and the success of your contact center. Equip your agents to collaborate and share solutions, and empower your customers find the right answers, in-context and on any device.